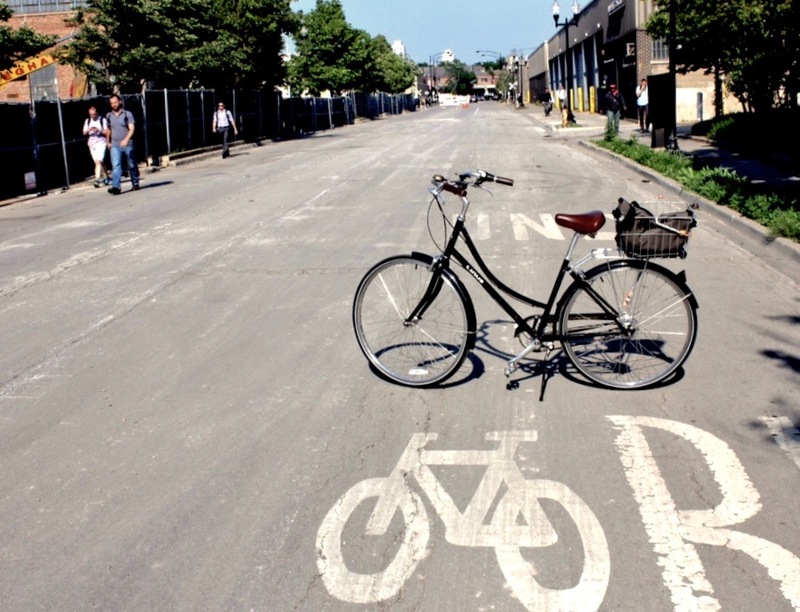 The Cortland Street corridor in Lincoln Park will be undergoing big changes in the next few years. 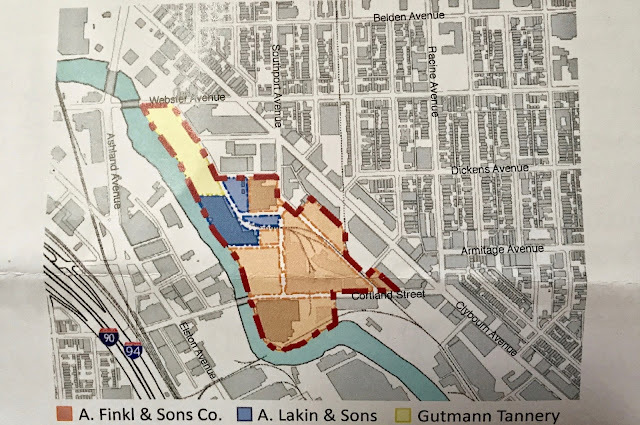 Finkl Steel and other industrial operations have vacated the area, and the buildings have been razed, clearing the way for 30 acres of new development. This is a hugely important transportation corridor for people living in and visiting Lincoln Park and Bucktown, and to anyone who cares about access to the CTA, Metra, Chicago River, Clybourn and Elston bike lanes, the Bloomingdale Trail, and more. The site lies on the north branch of the Chicago River, and was historically used largely for heavy industry. However, Alderman Brian Hopkins, whose 2nd Ward boundaries encompass the former Finkl site, has taken steps to remove the “Planned Manufacturing District” zoning designation, which will clear the way to a future for the area that is more befitting to a large parcel of land near the center of the city. Read an overview from DNA Info Chicago here. The community input part of the planning process is just beginning, and Alderman Hopkins is hosting a community session on Tuesday, May 3rd at DePaul. 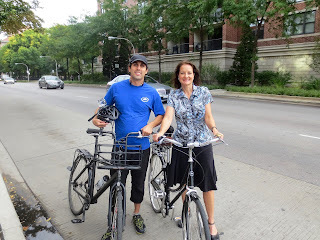 In order to provide Alderman Hopkins and other city leaders with written input, Bike Walk Lincoln Park co-leader Michael Reynolds and I are hosting a “Ride and Envision” event on Saturday, April 30th, and we’re inviting you to participate. The focus of the event will be to observe the existing conditions of the streets, transit stations and public spaces for people who are on foot, on bikes, and riding public transportation. We’ll identify the existing assets as well as existing problems, and provide a broad overview of a vision for the area’s future. Are you in? Great! It’s a long corridor, so we’re planning to ride our bikes for the event. Don’t worry, we’ll ride slowly and stay in a group to help make everyone feel comfortable. Michael and I are your friendly hosts for the event! 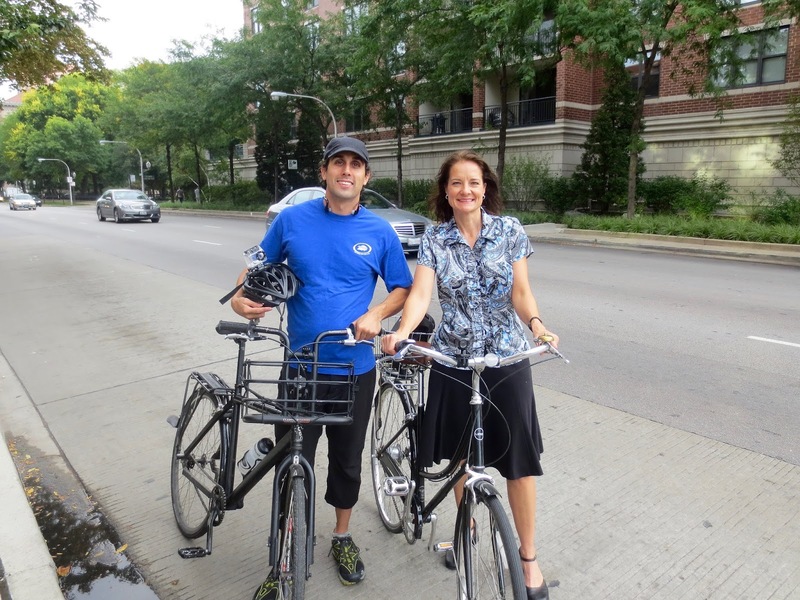 We’ll meet at 9:00 AM at the Divvy station at Armitage and Bissell and ride through the corridor, including on Clybourn, Cortland and Elston, to view the current site and surrounding areas. We’ll stop frequently to talk and share observations. Next, we’ll convene somewhere (location TBA depending on weather and number of participants) to sum up our observations and opinions. Then we’ll commit the input to writing and provide it to Alderman Hopkins in a letter. You can e-mail us your thoughts, too, and we’ll do our best to incorporate them. Or leave your opinions in the comments section below!